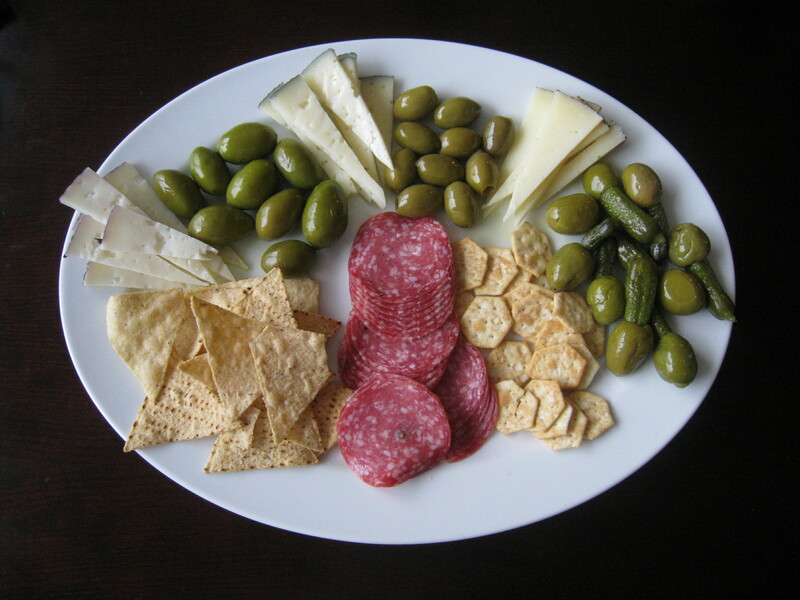 A Simple Meat & Cheese Plate. 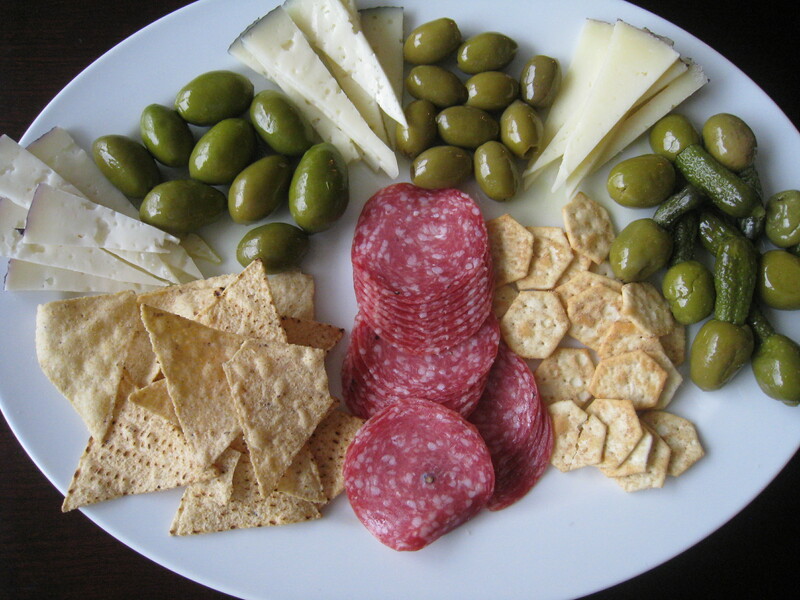 This is a great plate to make if you’re entertaining friends for the holidays or even if you’re having a lazy afternoon at home. 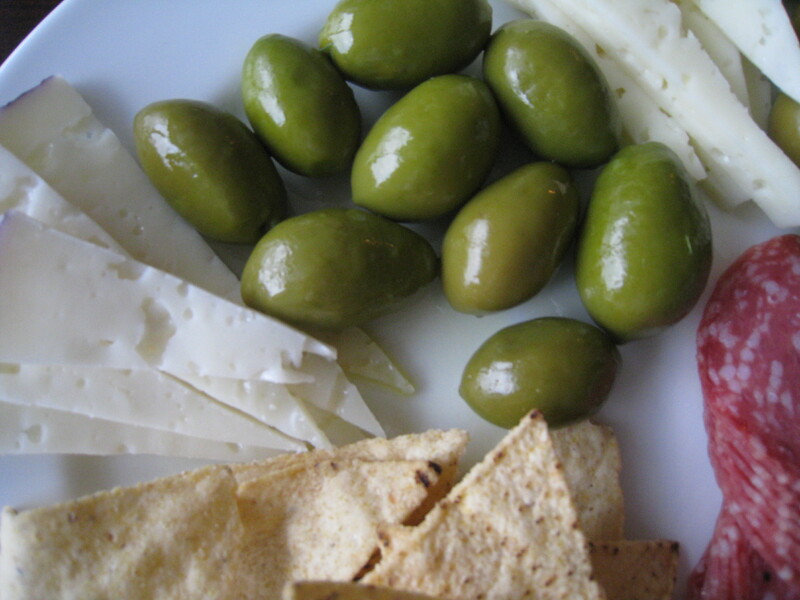 You can have nibbles and tastes without eating too much. 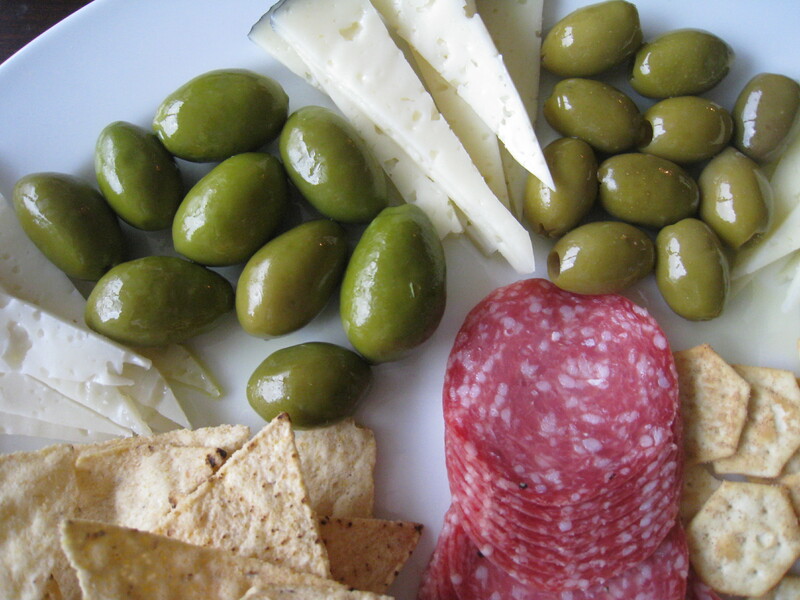 Of course, the flavors are great with wine, too! 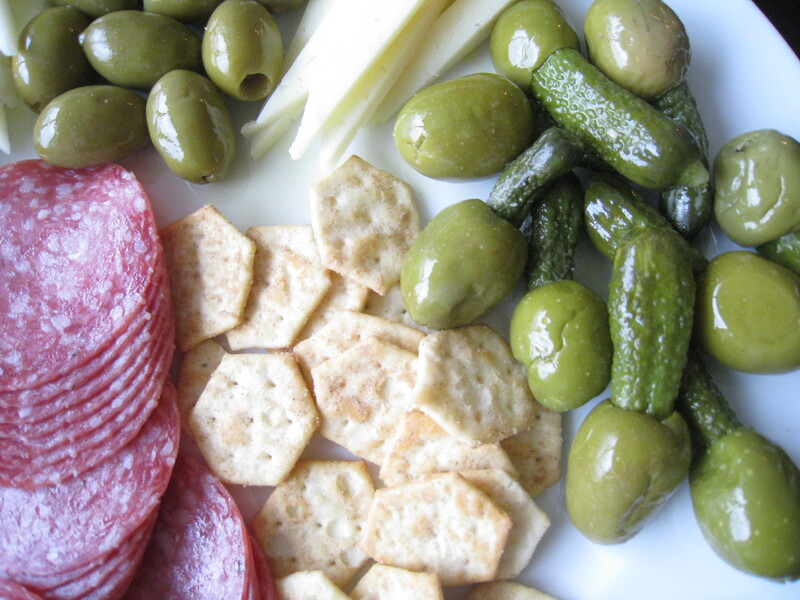 This plate features Italian dry salame, a trio of Spanish cheese (Iberico, Manchego & Cabri al Vino), roasted gorgonzola crackers and reduced-fat tortilla chips. 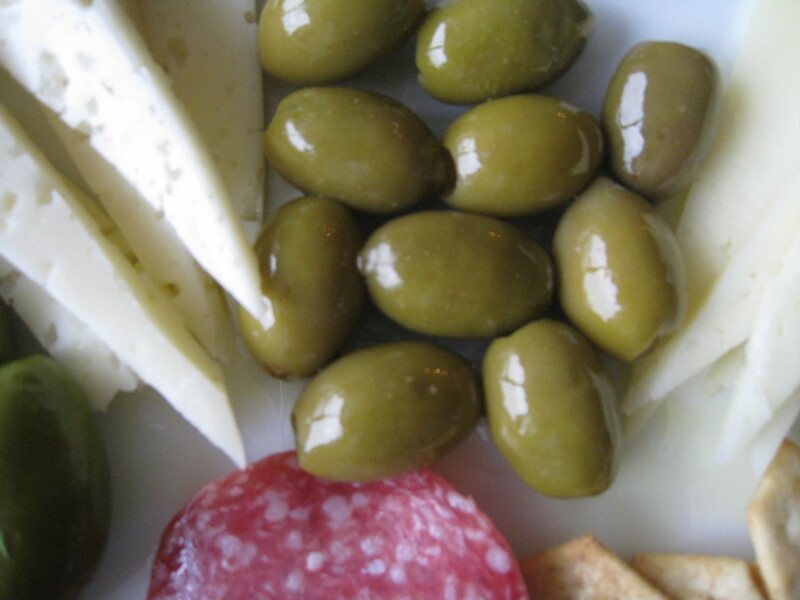 I chose three different types of olives: gherkin stuffed green olives, green Cerignolas and pitted green olives. Delicious! ← Welsh Pork Cake. Yes, I Said Pork.